Southeast Asian Studies has traditionally been a field in which “Western” scholars have dictated the terms and raised the questions. Scholars and students in Southeast Asia itself have been the receptors of knowledge “about” themselves filtered through the often refractional and refractory colonial and post-colonial lens. The internet and international conferences are slowly and quite refreshingly eroding this traditional approach and has allowed students and scholars worldwide to learn “from” each other rather than simply learn “about” each other. The Thai/Lao/Cambodian Studies Group (TLC) is an affiliate of the Southeast Asian Council (SEAC) of the Association for Asian Studies (AAS). It aims to bring together scholars and students who work in many fields (History, Anthropology, Botany, Women’s Studies, Religious Studies, Ethnomusicology, Linguistics, Archaeology, Architecture/Urban Planning, Development Studies, Philology, Political Science, Environmental Sciences, Philosophy, among others) who find themselves informed by data and experiences in Thailand, Cambodia, and/or Laos. Its website (tlc.sas.upenn.edu) and its annual meeting (at the AAS meeting) is a place for these scholars and students to share resources and expertise. Founded in 1976, T/L/C is a group that supports the exchange of information about current research in Thailand , Laos , and Cambodia . It serves as a means of facilitating the formation of panels at AAS and other conferences and maintains a listserve and website (www.tlc.sas.upenn.edu) which provides current and archived information on Thai, Lao, Cambodian politics, literature, history, economics, and religion. In addition this website includes brief reports from scholars working in the field, announcements from Southeast Asia area centers at universities in the US and abroad, news about upcoming conferences, book reviews, and an extensive bibliography of recently published books on Thailand , Laos , and Cambodia . Members hip is free but small annual donations/contributions are encouraged to support the funding of the “Ingrid Muan Graduate Student Traveling Fellowship.” The T/L/C holds its business meeting and sponsors an annual keynote speaker at the AAS international conference. For more information, contact Rebecca Hall, Chair, via e-mail at rebhall@gmail.com. the Ages.” 2009 TLC theme was “Art History and TLC Studies.” In 2010, in Philadelphia, Andrew Walker (Associate Dean (Education) College of Asia and the Pacific and Senior Fellow in the Department of Political and Social Change, The Australian National University) gave a stimulating and controversial talk “Imagining a New Mandala in Mainland Southeast Asia.” This was followed by a heated debate on the role of academics in the recent political crisis in Thailand. Another major change has come with the way we represent ourselves. With the departure of Sue Darlington as the editor of the newsletter, we struggled with finding a more practical and useful way to communicate with our members and encourage new members to join (esp. young scholars and graduate students). Justin McDaniel and the Southeast Asian Studies Program at the University of California (Riverside) sponsored and started a website for the T/L/C to replace the print edition of the Khosana newsletter. This website and electronic version of the newsletter serves its readers by offering frequent updates on new research, reports from the field, news about new dissertations and publications, links to important websites and wire services, and more timely book reviews, obituaries, and reflections on current events. It serves as a place to advertise relevant conferences, regional meetings, archive/museum openings, etc. Since 2006, this listserv has sent over 8,000 messages. Perhaps our greatest struggle has been to sponsor T/L/C panels at the AAS. While many of our members give talks on panels in history, anthropology, linguistics, economics, political science, religion, etc. in 2005 there had been very little in the way of forming T/L/C panels. In 2006, we sponsored Dr. Pattana Kitiarsa’s panel in honor of Charles Keyes. In Boston, we sponsored Duncan McCargo’s panel on the Southern Thai conflict. However, there were only 6 panels that focus on Thailand, Laos, or Cambodia (actually, only Thailand; Cambodia and Laos were almost completely neglected at the 2007 AAS). This is something that we attempted to change in order to bring together scholars in a formal way to share ideas on issues related to Thai, Lao, and Cambodian Studies collectively. In 2008, we were much more successful. In 2008, we sponsored Marjorie Muecke’s panel “Critiquing Re-studies: Reflections by Authors of Re-studies in Northern Thailand.” There were three papers on Lao Studies, and over 12 panels which focused in some way on Thailand, Laos, and Cambodia Studies. In 2009 there were 7 panels with TLC content. 2010’s TLC-Panel was the most successful to date with over 60 people attending (standing room only) — “The Weave of Death: Funerary Cloths in Art and Ritual in Southeast Asian Buddhism: Sponsored by the Thailand, Laos, Cambodia Studies Group.” There are over 25 panels this year (2011) in Honolulu on TLC related subjects, the most we have ever had. Therefore, in small part to our presence, fellowships, CFPs, and advertisement, we have quadrupled the number of annual panels in five years. Website and Listserv In early 2007 we conducted an on-line survey which yielded a large response. Based on these responses, we are particularly interested in raising funds to hire a student to help build the website in three major areas: 1) film, music, and image archives for TLC Studies; 2) Regular reports on new articles and books in the field; 3) regular political reporting from Thailand, Laos, and Cambodia. The website and listserv has been very successful. We increased our membership, revamped the website, added new links, new reviews, new publications, etc. In addition to building the content of the website, we would like to attract new members to the TLC and its listserv. In 2005, we had 51 members. Today, we have 621 members. This is a twelvefold increase in membership in less than six years is thanks many people spreading the word, to the website and listserv. In 2009 we moved the TLC office and website to the University of Pennsylvania. The move was relatively painless and seamless. Our major initiative in 2009-2010 was to launch a joint Book Review Project. The Thailand-Laos-Cambodia Studies Group and New Mandala now offer regular book reviews of important new texts on mainland Southeast Asia. The reviews are jointly published on the TLC email list and on New Mandala. This gives authors, publishers and reviewers a very widely read new forum for featuring reviews without many of the delays associated with journal publication. Our goal is to publish regular reviews in an accessible and flexible format. We hired a Book Review Editor, Dr. Michael Montesano, and he has successfully expedited 17 book reviews since January, 2010 with more in the pipeline right now. They are high quality critical book reviews of major works in the field. These reviews have been well-received. This has been an extremely effective program thanks to the work of Michael Montesano. Financial Report We are trying to increase the membership even more by offering a travel grant to 1-2 graduate students to attend the annual AAS meeting. Over the past five years we have given over 1,250 dollars in travel grants to five graduate students. At this year’s TLC/AAS meeting in Honolulu we will also attract new members and generate discussion about contemporary events, new resources, etc. Financially, the TLC is stable. As of March, 2011, the TLC has 2581.19 USD in its primary account. In May 2007 we had 1314.83. At that time, we requested 1,000 USD from SEAC. We received this funding and University of California at Riverside (UCR) matched it. Therefore, we had 3,314,83 in funding available. UCR used its matching funds to pay for an undergraduate student assistant which brought our total back down to 2,314.83. Our goal is to maintain a minimum balance of 1,000.00 USD for future and unforeseen projects. 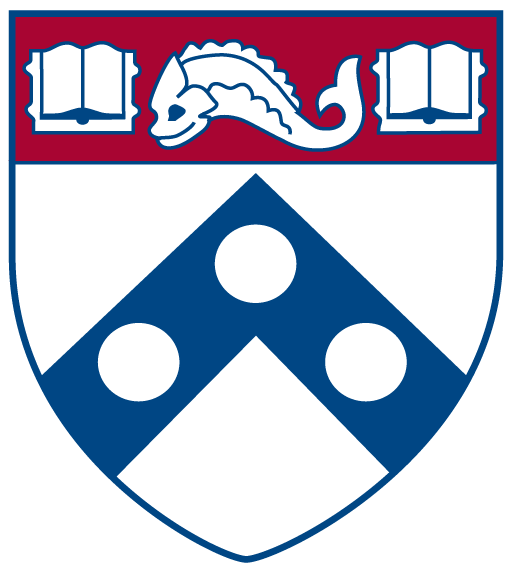 In March 2009, we requested 500 in additional funding from SEAC to maintain the website and move the website to the University of Pennsylvania. The University of Pennsylvania agreed to move the website for free and so we did not spend our funding this past year. Over the summer we plan to hire an undergraduate assistant to revamp the entire website. This funding is separate from the (now) 423.00 USD collected through annual donations. This donated funding goes towards the annual Ingrid Muan Fellowship. We plan to award one graduate student 250.00 this year or two fellowships of 150 and 100 dollars respectively if we have two strong applications and enough funding. In 2010 we did not request any additional funds from SEAC/AAS. Funding Request In 2011 we are requesting 500 dollars for two purposes: 1) 250 dollars to partially offset the costs of hiring an undergraduate assistant (2 hours per week) to update the website and to convert the entire website to “drupal.” This program/technology will allow rapid updating, more images, easier archiving, and greater flexibility. The University of Pennsylvania’s office of computer technology has agreed to “drupal” the site for free, but we need funding to partially pay an undergraduate to perform the weekly updating to the site with news of conferences, new publications, etc. 2) 250 dollars to provide Michael Montesano (our book review editor) with some funding to ship books to reviewers. Last year, Justin McDaniel and Michael Montesano sent out the 17 books to potential reviewers using their own institutions mailing services. This type of arrangement cannot continue for free as the program has grown too large, too quickly. We are beginning to abuse the largess of our home institutions. Obviously, hiring an undergraduate web updater and paying for the shipping of potentially 20-25 books internationally will cost more than 500 dollars. We will offset the costs of these two endeavors by drawing funds from the existing TLC account. Membership for the TLC is free and we do not collect dues. We accept donations. We would like to keep it a free organization to join.